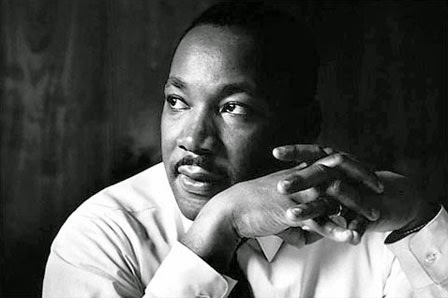 Today we celebrate the life of the incredible, inspiring, strong, loving, passionate man that is Martin Luther King Jr. This morning I was scrolling through all the inspirational MLK-related quotes trying to pick one to post and… I couldn’t. I couldn’t choose just one, because every single thing he had said was still overwhelmingly relevant today. Yes, we have made some progress as a country and as a people, but it is very clear (Michael Brown, Eric Garner, etc) that we are still nowhere close to realizing Dr. King’s “dream”. And speaking of that “dream”, the thing that was so radical about MLK was that he did more than just dream. He acted – with passion, for justice, with love. He was not passive. He was not safe. He dreamed big dreams, and then stood up for them. Can we say the same about ourselves? I’ll admit that I am one living more in the dream than in the action. It’s one thing to believe that “injustice everywhere is a threat to justice everywhere” but if we are doing nothing to fight that injustice, what is the point of even having such a belief? So I will not be silent. I will live. I will stand alongside my oppressed brothers and sisters with people of all color and use my unique gifts to fight for justice in every way I can. Today we celebrate the life of Dr. Martin Luther King Jr. But let us also honor his death. Dr. King died fighting for his dream, and if we do not continue that fight his death will have been in vain. So let us fight. Let us stand. Let us speak. Let us love.